Faith’s Review and Expectation.—I Chron. xvii. 16, 17. “Amazing Grace” resides in a sphere of public awareness that few hymns can claim. Some think it is a folk song. Many would be surprised to find that it is an eighteenth-century hymn. Hymnary.org lists more than 1,200 hymnals in which the hymn appears. By comparison, Joseph Mohr’s (1792-1848) “Silent Night” appears in 536 hymnals. Its rivals for use in hymnals include “Holy, Holy, Holy” by Reginald Heber (1783-1826), found in more 1,400 hymnals, and Charles Wesley’s (1707-1788) “O for a Thousand Tongues to Sing” found in more than 1,500 hymnals. The difference is that Heber’s and Wesley’s hymns, though popular, would not be known and sung so broadly and in so many musical styles beyond Christian worship as Newton’s hymn has been. For example, few hymns have made the Top 10 Hits list, as “Amazing Grace” did in 1971 when Judy Collins recorded it in a somber hymn-like style as the theme song on her album by the same name (see https://www.youtube.com/watch?v=jAfOdXbFir0). The Bill Moyers PBS production on Amazing Grace (1990) explored many dimensions of the hymn and its imprint on culture at large. I was well into the writing stage on September 11, 2001, after which “Amazing Grace” became the song that people turned to most often to express their faith, hope, and solidarity. One of the most poignant images of the shock and grief was that of people of all ages joining hands or linking arms and softly singing the words . . . The song was used at church services, memorial gatherings, tribute concerts, and funerals. It was played on Manhattan’s Fourteenth Street by a Salvation Army ensemble as volunteers loaded trucks and supplies for helpers at Ground Zero. Pipers from the NYPD piped it at the commencement of the Prayer for America service held at Yankee Stadium. Red Cross workers sang it at the site at Shakesville, Pennsylvania, where United Airlines Flight 93 had plunged into a field after its hijackers were apparently overwhelmed by courageous passengers (Turner, xxvii). With no desire to demystify this icon of faith, hope, and comfort, and with more than a bit of anxiety concerning what I may be able to contribute to the discussion of a hymn that, at least in part, is better known in the English language around the world than perhaps any other, let us look a bit deeper. The first stanza of “Amazing Grace” is cited above as it appears in Olney Hymns (1779), a significant eighteenth-century collection in three books with 348 total hymns authored by John Newton (1725-1807), Anglican vicar and former trader of enslaved Africans, and the prominent poet William Cowper (1731-1800). Book I, “On select Texts of Scripture,” has 141 hymns based on 36 biblical books from Genesis through Revelation, revealing a systematic approach to Newton’s preaching. Book II, “On occasional Subjects,” has 100 hymns with sections on Seasons, Ordinances, Providences, and Creation. Book III, “On the Progress and Changes of the Spiritual Life,” consists of 107 hymns divided into topics on Solemn Addresses to Sinners, Seeking, Pleading, Hoping, Conflict, Comfort, Dedication and Surrender, Caution, Praise, and Short Hymns. Sixty-seven hymns by Cowper (pronounced “Cooper”) are indicated by a “C,” with the remaining hymns by Newton. “Amazing Grace” is found in Book I, No. 41, under the title of “Faith’s Review and Expectation.” A facsimile of the collection may be found at https://archive.org/details/olneyhymnsinth00newt, with “Amazing Grace” on page 101. The passage from I Chronicles 17:16-17 was Newton’s text for New Year’s Day on January 1, 1773: “And David the king came and sat before the Lord, and said, Who am I, O Lord God, and what is mine house, that thou hast brought me hitherto? And yet this was a small thing in thine eyes, O God; for thou hast also spoken of thy servant's house for a great while to come, and hast regarded me according to the estate of a man of high degree, O Lord God” (KJV). Notes transcribed from Newton’s manuscript, including a few remnants in Newton’s own hand, may be found at https://www.johnnewton.org/Groups/231011/The_John_Newton/new_menus/Amazing_Grace/sermon_notes/sermon_notes.aspx.
. . . It is to the credit of modern hymnal editors, who have not flinched to revise and rewrite other hymns, that they have left this “wretch” alone. When one understands something of the degrading way of life that this man led as a sea captain involved in the slave trade, and recognizes that the hymn is to some degree autobiographical, it becomes clear that there were few other terms available to him to describe his condition “before grace.” It might be objected that this is just the point: how can modern worshipers sing about an experience they have never shared? That would be a valid argument if Newton were being only autobiographical. But the subtley [sic] of his poetic genius was such that he used his own particular experience to enshrine the universal truth of the meaning of salvation (Glover, 1237). The opening stanza, so ingrained in the minds of people around the world, draws strength from the powerful antithesis of concepts: “grace” versus “wretch”; “lost” versus “found”; “blind” versus “see.” The addition of “amazing” as a modifier of “grace” further strengthens the antithesis between the two ideas. Newton wants to stress the contrast so much that he employs tautology—a linguistic redundancy or, saying the same idea in several ways for emphasis. Indeed, the use of tautology is one of the features at the heart of the effectiveness of this stanza. The parenthetical statement that follows “Amazing Grace!” adds a sense of sublimity to the first two words: “(how sweet the sound!)”. Furthermore, Newton employs an onomatopoetic technique where the words sound like their meaning. Note the aural contrast in the resonance between the smoother alliterative “sweet . . . sound” and staccato “wretch”—a six letter word with one vowel. Even the sounds set up the contrast between the theological ideas. The scriptural undergirding of stanza one is remarkable. The concept of “grace” echoes beautifully Ephesians 2:8-9: “For by grace are ye saved through faith; and that not of yourselves: it is the gift of God: Not of works, lest any man should boast” (KJV). Luke 15 is replete with narratives that support the “lost/found” opposition in stanza one of the hymn: the parable of the lost sheep (Matthew 18:12-14; Luke 15:3-7); the parable of the lost coin (Luke 15:8-10), and, of course, the most famous of all, the return of the prodigal son (Luke 15:11-32). Likewise, the contrast between “blind/see” is a strong theme in the New Testament. In Luke 24:31: “He has sent me to [bring] recovery of sight to the blind.” The touch of Jesus brings sight in several narratives: Matthew 9:29-30; Mark 8:22-26; Mark 10:46-52; John 9:1-41. This iconic and universally sung hymn bears a much closer look than most others. “Amazing Grace”: Part II will explore the remaining stanzas, the tune most associated with the text, the possible autobiographical connections with Newton’s life, and the standing of the hymn in the current cultural context in the United States. Click here to read History of Hymns: “Amazing Grace”: Part II. John Calvin, “Commentary on John,” Volume I (Christian Classics Ethereal Library), http://www.ccel.org/ccel/calvin/calcom34.xii.vii.html. William Cowper and John Newton, The Olney Hymns in Three Books. A facsimile reprint of first edition published in 1779 (Olney Bucks, England: The Trustees of the Cowper and Newton Museum, 1979). Raymond F. Glover, ed. The Hymnal 1982 Companion, Volume 3B (New York: The Church Hymnal Corporation, 1994), 1236-1243. Steve Turner, Amazing Grace: The Story of America’s Most Beloved Hymn (New York: HarperCollins Publishers, Inc., 2001). John Wesley, “Salvation by Faith,” Sermon 1 (1872 edition, ed. 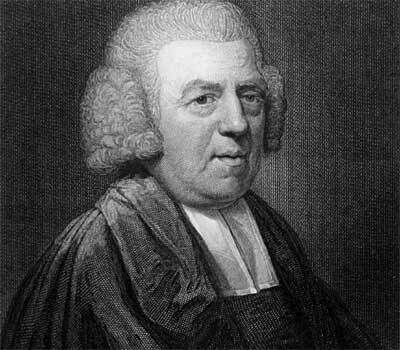 Thomas Jackson), http://www.umcmission.org/Find-Resources/John-Wesley-Sermons/Sermon-1-Salvation-by-Faith.